Yes, you read that title correctly. Book lovers rejoice, if you love ebooks and audiobooks, the tapestry of your literary world is about to become richer (and cheaper)! I recently stumbled upon a goldmine of a resource: Scribd. In fact, I was so excited that I stayed up until 1:00 AM perusing this online treasure trove. The following night I crawled into bed at a more reasonable hour only to enter a dream in which I was telling a room of strangers about my new digital discovery and why they would love it too! I woke up realizing that I need to share my excitement with you. Perhaps in the process, I can clear my mental cache and move forward into other important areas of life. So without further ado let me introduce you to my latest online crush, Scribd, and explain why it is going to replace my audible account. Think of it as a Netflix for books. 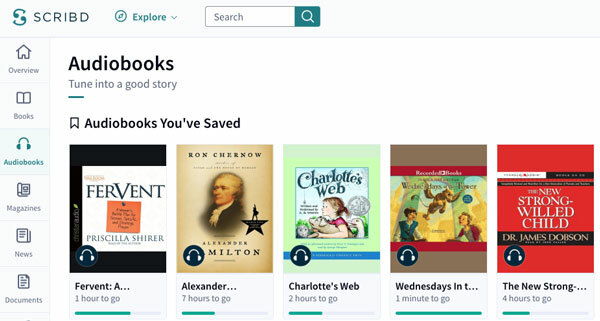 Scribd offers thousands of ebooks and audiobooks at your disposal with no limits for just $8 a month. Let that last part sink in a bit. No limits. $8 a month. That no limits part is brand new so if you’ve been tempted in the past by Scribd’s “3 ebooks and 1 audiobook” per month option—those days are gone and the Scribd future looks unlimitedly awesome. 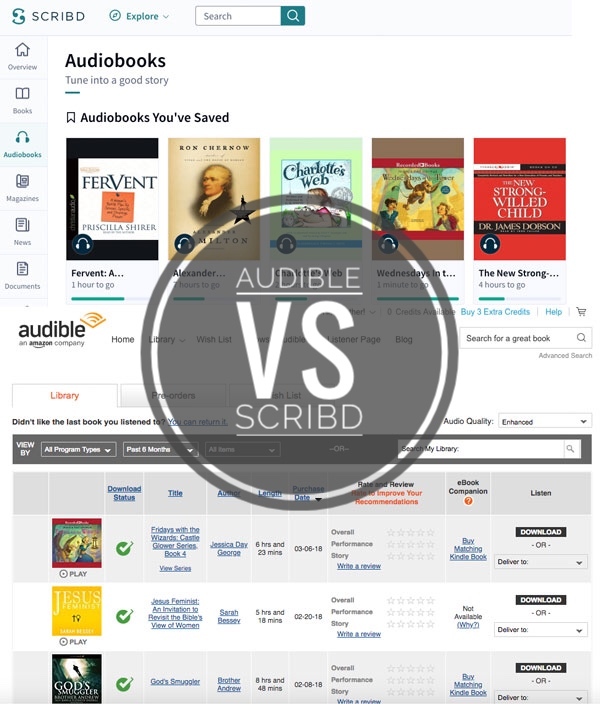 HOW DOES SCRIBD COMPARE WITH AUDIBLE? I’ve been an audible member since February 2015. In those three years, I’ve built up a pretty impressive library of 165 books! 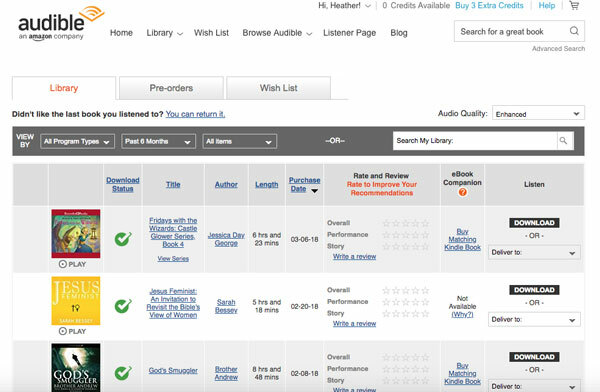 I found ways to get the most out of my audible subscription by starting out with a “Discount Gold” Monthly subscription (which you have to specifically ask for as it is not advertised) paying $7.49/month for the first 3 book credits. Then, I’ve transitioned to the (also unadvertised) “Silver Plan” paying $14.95/month for one book credit every other month. Finally, when I’d bought all the books we could hope to listen to, I downgraded to an Audible “ListenerLight” membership for $9.95/year allowing me to continue purchasing books at their member discount price if desired but halting the book credits. Meanwhile, I watched the daily deals and occasional sales, snatching up good books in the $3-$4 price range and I paired free kindle books with the discounted whispersync audiobook option on several occasions. (Click over to this post for more details on all of these options).